SUBHEAD: EPA plans to allow unlimited dumping of fracking wastewater in the Gulf of Mexico. Image above: In May 2016 a Shell oil facility leake 90,000 gallons of oil into the Gulf of Mexico, according to federal authorities. From (https://thinkprogress.org/yet-another-oil-spill-wreaks-havoc-on-the-gulf-of-mexico-and-nearby-coastal-communities-1e3b62d92d1#.2ac8u4hdh). In a letter sent to EPA officials on Monday, attorneys for the Center for Biological Diversity warned that the agency's draft permit for water pollution discharges in the Gulf fails to properly consider how dumping wastewater containing chemicals from fracking and acidizing operations would impact water quality and marine wildlife. The attorneys claim that regulators do not fully understand how the chemicals used in offshore fracking and other well treatments -- some of which are toxic and dangerous to human and marine life -- can impact marine environments, and crucial parts of the draft permit are based on severely outdated data. Finalizing the draft permit as it stands would be a violation of the Clean Water Act, they argue. "The EPA is endangering an entire ecosystem by allowing the oil industry to dump unlimited amounts of fracking chemicals and drilling waste fluid into the Gulf of Mexico," said Center attorney Kristen Monsell. "This appalling plan from the agency that's supposed to protect our water violates federal law, and shows a disturbing disregard for offshore fracking's toxic threats to sea turtles and other Gulf wildlife." The Center has a history of using legal action to stop polluters and challenge the government to enforce environmental regulations, so the letter could be seen as a warning shot over the EPA's bow. Earlier this year, lawsuits filed by the Center and another group won a temporary moratorium on offshore fracking in the Pacific Ocean, and the groups are currently preparing to challenge fracking in the Santa Barbara Channel under the Endangered Species Act. 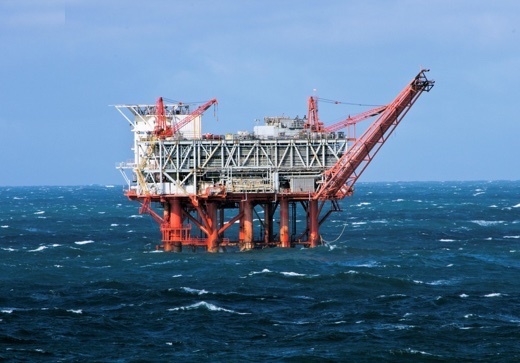 Offshore fracking involves pumping water, chemicals and sand at extremely high pressure into undersea wells to break up rock and sand formations and clear pathways for oil and gas. Offshore drillers also treat wells with corrosive acids, such as hydrochloric acid, in a process known as "acidizing." Still, little was publicly known about these "well treatments" until Truthout and environmental groups began filing information requests with federal regulators. Regulators and the fossil fuel industry say offshore fracking operations have a good safety record and tend to be smaller in size compared to onshore operations, but environmentalists continue to worry about the chemicals used in the process because many of them are known to harm marine wildlife. Plus, dolphins and other species in the Gulf are still suffering from the lingering effects of the 2010 BP oil spill. Under the EPA's current and draft permits, offshore drillers are allowed to dump an unlimited amount of fracking and acidizing chemicals overboard as long as they are mixed with the wastewater that returns from undersea wells. Oil and gas platforms dumped more than 75 billion gallons of these "produced waters" directly into the Gulf of Mexico in 2014 alone, according to the Center's analysis of EPA records. The EPA expects these chemicals to have little impact on the environment because the large volumes of wastewater and the ocean dilute them, but the Center points out that much of the EPA's data on the subject comes from studies prepared in the 1980s and 1990s. Offshore production technology has advanced since then and hundreds of frack jobs have occurred in the Gulf in the past five years alone. "All they have to do is ask the Interior Department for this information, because they just compiled it all for us," said Monsell, referring to the thousands of documents recently released to Truthout and the Center under the Freedom of Information Act. Monsell said the EPA's permit is just another example of a federal agency "rubber-stamping" permits for offshore fracking without taking a hard look at how the technology impacts the environment. The EPA, she argues, should prohibit the dumping of hazardous fracking chemicals and other wastes directly into ocean altogether. "It's the EPA's job to protect water quality from offshore fracking, not rubber-stamp the dumping of the wastewater from this dangerous, disgusting practice," Monsell said. The draft permit does prohibit the dumping of oil in the Gulf and proposes a new rule that would require oil and gas operators to keep an inventory of the fracking and acidizing chemicals kept on board. This inventory must be made available to regulators upon request. The government's most up-to-date list of offshore fracking chemicals is now 15 years old, and the Interior Department regulators are currently working to update it. Monsell worries, however, that these inventories would not track how much of the chemicals are dumped overboard, and the public will not be able to access them unless the EPA or Interior Department requests copies first. Even then, watchdogs may have to wait on the government to process more information requests in order to make those inventories public.